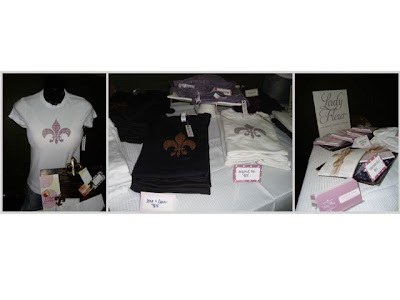 I wanted to take a break from talking about Lady Fleur and tell you about my Closet Sale idea! 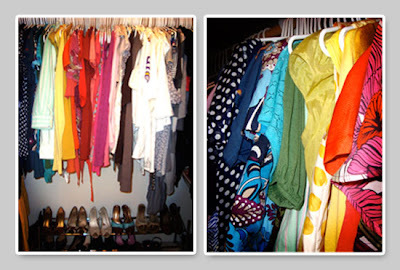 I had a MAJOR cleanup campaign last night and took out SO much clothes from my closet. Lots of them even still had tags!! Yikes! I always bring my clothes to Goodwill, but I feel like it's such a shame to let my nicer, hardly (if ever) worn clothes sell for 25 cents (mostly because I feel guilty that I paid for all this stuff and never even wore it)! We do have a place here called Plato's Closet that buys gently used, name brand clothing, but I've always had a bad experience with them! Even for new items with tags, they would try to offer me $3!! No sir! For that, I'd much rather give it away to someone that needs it. I've seen several other blogs do something like this and they seem to be pretty successful with it - I've even bought a dress from one before! Just a few of the items I can think of off the top of my head are a pair of Abercrombie jeans I wore twice (literally), a beautiful black French Connection dress I wore maybe 3 times, lots of Ann Taylor, The Limited & Express tops (many with tags), and enough Forever 21 clothes to open a store! I was also thinking of getting rid of some purses/wallets, mostly Coach, if people were interested. I was thinking that the easiest way to do it would be to post pictures of the items with a description, the original price I paid for them (or at least a close guesstimate,) and a suggested price, and let people contact me if they're interested! For payment, I would send out PayPal invoices so people can securely pay by credit card. As I mentioned in my previous post, I was preparing for my first craft show last Tuesday for a local woman's club's annual fundraiser event. I was so nervous & anxious for it, but I'm so glad I had the opportunity. The show turned out great - I learned so much, met some great people, and was one of the top sellers! I was certain that we were going to forget something, but we were actually well prepared! I know there's a few more things I need to get (ie, a BANNER! ), but I did get lots of compliments on my table setup. I was able to borrow a 1/2 mannequin from my day job to display how the shirts fit, and that was a HUGE help. I will definitely be investing in one of my own now. 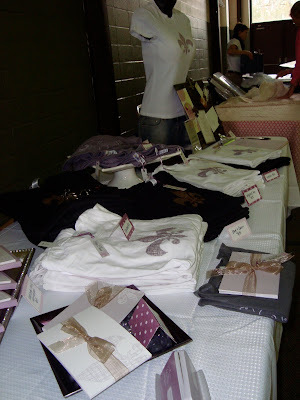 I tried to maximize the table space by using trays & cake stands to creatively display the shirts & notecards. I had some of my freelance designs on display as well, as well as an email sign up list & of course my business cards. Prices were displayed on the table as well as on some handmade tags I made for the shirts (that came out sooo cute, by the way!) Besides the sales, I made some great contacts, including a lady that runs a local gift shop that was interested in carrying my stuff! 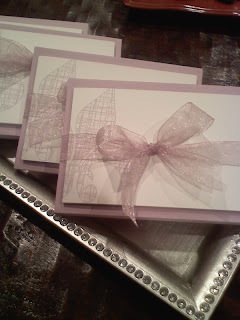 Some of the surprises from the show were that the notecards weren't as big of a seller as I expected them to be. They really are my favorite item, and lots of people thought they were really cute, but I just couldn't make the sale on them! If you have any feedback on this, let me know, because it was kind of driving me crazy!! If there's something I need to adjust about them to make them more appealing, I would definitely like to know! Another surprise was that my new floral design was actually the biggest seller! I thought for sure the fleur de lis would be the big seller with the shirts, but they showed me! Everyone went nuts for the floral shirts! So all in all, the show went well & I am so eager to do another one soon! I've been keeping my eyes open for opportunities and in the meantime I will be fine tuning my display and stocking up on my inventory! In related news, I started a Facebook page for Lady Fleur and added lots more pictures from the show, so go check it out and add me! :) I also created a Twitter account that I'll be updating regularly with news & special promos, so I hope you'll follow me there as well! 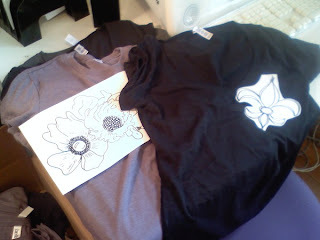 I'm excited about what's to come for Lady Fleur Designs, so thanks for all of your support!! Well, I'm off to prepare for Market (and admire my beautiful computer some more)! Hope you all have a great weekend! 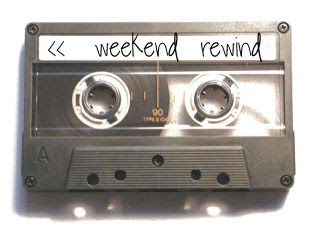 Weekend Rewind: Fun AND Productivity?? So, as it turns out, I had a wonderful weekend full of fun and productivity! I wasn't sure those two could go hand in hand, but somehow I made it work this weekend! Friday night I hunkered down with my websites - finishing up and finally publishing my main website (www.ladyfleurdesigns.com), and adding all of my new products & pictures to both my BigCartel and Etsy websites. I had to have an impromptu photo shoot to take some pictures of myself in the new shirts, since lots of people wanted to see how they fit. I kind of hate the idea of having pictures of myself all over my website (YIKES! ), so those may not last long... I am thinking of cropping my head off and just using the shirt portion of the pictures! Haha. As I mentioned in a previous post, I made a switch to BigCartel because lots of my clients were having trouble with the Etsy check out process. However, I decided that I was not ready to part with my Etsy website or the awesome community that comes with it, so I will be maintaining both for now! So feel free to order from whichever one you feel more comfortable with! :) I will be using my main website as a portal that will have all of the details about Lady Fleur Designs, my contact info, and links to my shops & blog. WHEW! Hope this isn't too confusing, but I sure feel more organized now and glad to finally have it all up and running! Saturday I went to Hollydays, an awesome Christmas market held at the Baton Rouge River Center by Junior League of Baton Rouge. There were some pretty amazing vendors from all over the South. I found some great inspiration AND picked up lots of Christmas presents (as well as a few things for myself! ), so I was really happy with my day there! Sunday we somehow woke up in time to make the 7:30am mass (I don't think I've EVER been to mass that early! ), so we had the rest of the day to enjoy some BBQ, football, and family! Oh yeah, and the Saints won big time! What more could you ask for?? A little late, but as promised, here is the recipe for Coconut Mango Sticky Rice. I got the original recipe from this video, but I have re-written it to make it easier to follow and print out for later! It is VERY sweet, so feel free to adjust the sugar and coconut milk to your liking if you want to tone it down a bit. This dish is to DIE for and you'll really have to hold yourself back from going for seconds... and possibly thirds! It is served as a Thai Dessert, but I still make it with dinner paired with something to offset the sweet taste. When I originally mentioned this dish, I had made it for dinner one night with Ground Chicken Lettuce Wraps, and they really went well together! This dish also has a beautiful presentation and is surprisingly easy to make, so I think it would be a great way to impress your guests!! Try it out and let me know what you think! Put Sushi Rice in a heavy saucepan and add 1 cup cold water. Let soak for 30 minutes to soften the rice - this is important, so don't skimp on this step!! While the rice is soaking, whisk together 1/2 cup of the coconut milk, 1/4 cup of brown sugar, and 1/2 tsp of salt until sugar dissolves. You can also chop the mango at this point into small cubes. After the rice is done soaking, add the other 3/4 cup of water and 1/4 cup of coconut milk as well as 1 Tbs. of shredded coconut. Stir and bring to simmer over medium heat. You can then turn the heat down to low, cover the pot, and let simmer for 15 more minutes. After the 15 minutes, your rice should be soft and sticky. Slowly stir in the coconut mixture you prepared earlier with a fork. It will look kind of soupy at this stage, but just let it sit covered for about 15 more minutes and it will thicken up. In the meantime, you can toast some shredded coconut in a pan in the oven until its a medium brown color. The crunchy sweet coconut over the rice is a really great addition - it's my favorite part actually! Now you are ready to serve! Spoon the rice onto your plate and arrange the mango around it. Top with your toasted coconut, and voila! Sometimes I'll added Sesame Seeds as well for a little more presentation and crunch. You should now have an impressively beautiful and delicious dish! Graphic designer living in Baton Rouge, but a New Orleans girl at heart! 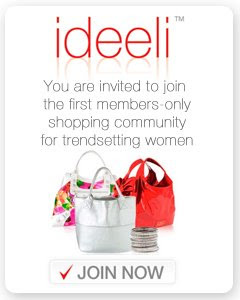 Love all things fashion and design oriented. 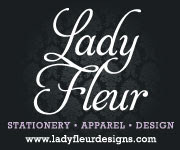 Lady Fleur Designs is my developing brand for stationery, apparel and gifts, as well as my general design services.